Many mentalists in the UK start after seeing Derren Brown on the TV; he has become the gold standard of mentalism. Due to Derren’s captivating performance style and faux explanations beginners believe his presentations and think his miracles are accomplished by his wide range of mental skills and not traditional conjuring. If you search the net you will find many people offering “Be like Derren courses” teaching NLP and such like. Also magic shops are offering a mass of mind reading props, tricks, books and DVD that will promise to turn you into a pro almost overnight. Well, I think this approach to learning mentalism is a bad idea. You can’t be a mindreader without having learned the craft of close-up magic. 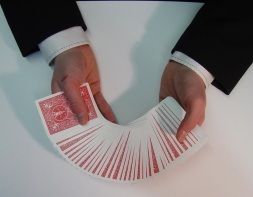 The basics of close-up magic are integral to all mentalism performers. You have to be able to use misdirection, sleight of hand, switches and feints. If you are a mind reader with no experience of close up magic I suggest you read to the end of this and immediately go and buy some beginner magic books. Mentalism is just an area of magic and you need to be skilled in the basics before you can specialise. If you could really read minds your spectators might be 100% amazed; even a pretty good rendition of a mind reading trick will leave with 80% amazement. By amazement I mean the audience are completely dumbfounded, believe you have powers and that something otherworldly happened. Not a trick but the real deal - they have encountered a powerful other worldly man. 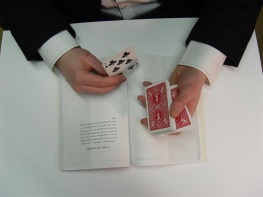 With a close-up magic trick you are aiming for a lower percentage, even the very best close-up magic trick can aim for maybe an amazement percentage of 70%. They are suitably stunned, a mumbling quivering wreck but they know it was a trick, a magnificent trick but a trick nonetheless. They can mentally process the emotion and put it in the category of “impressive stunt”. You might think that was a massive tick for mind reading, but there is a problem as well. If a close-up magic trick goes wrong and they see something they shouldn’t they will give you credit for the bits they didn’t see. They might say something like “I saw your finger do a sneaky thing but I have no idea how you got my ring in the purse”. However, if they bust you performing a sneaky operation in a mindreading trick their expectations will drop like a stone. They might say, “You said you were gonna read my mind but all you did was look in the back of the wallet”. You won’t get any credit for anything because often mind reading tricks are incredibly linear - you get the info and then feed it back to them immediately. In short, mind reading can be far more impressive if done well but you have a far higher drop when it goes wrong. What have the following mentalists all got in common? Luke Jermay, Gary Kurtz, Tim Conover, Max Maven, Derren Brown. Well, they are all top notch mentalists, some of the best of the best and all have excellent sleight-of-hand skill. Their background was in close-up magic and they moved into mentalism; but their tool kit of skills is always there and it helps in the creative and technical aspects of mind reading. In short, if you have a passion to read minds I think you should really get a good education in sleight of hand first, it will make you a much better mind reader. 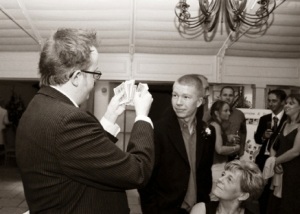 but most of his work is as a wedding magician across the UK.